This isn't a new issue, or a surprise for folks that have kept up with the stainless Black Diamond crampon discussion. Two different friends have sent me pictures over the past two weeks. Each of them was using different BD crampons, but both of them had broken crampon forefoot pieces. Another friend broke a center bar after only two days of use. He's been using the old chromoly center bars ever since. 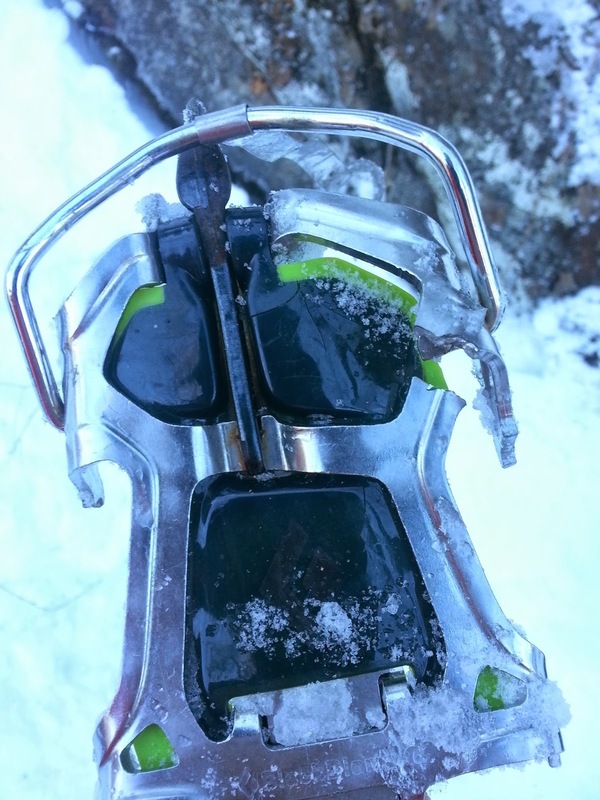 If you are using BD crampons make sure you are checking high stress areas for small fractures. You might be able to catch the break before it becomes a failure while you are leading. It's pretty clear that BD's design or construction is flawed. I've hung on to an old pair of Sabretooths, and they are far more durable than any of the new BD stainless crampons I have. They also fit my big feet better than the newer, smaller crampons (actually, if anyone has old Sabretooths in good shape I'd be willing to buy them!). The BD stainless crampons are really nice, but the "stainless" spiel seems like marketing hype. I've had a few pairs now, and they seem much less durable than chromoly crampons. Between shorter frontpoints, a smaller footprint under foot, and the use of stainless BD must be saving a bundle of money in materials. I would like to see them go back to chromoly personally. 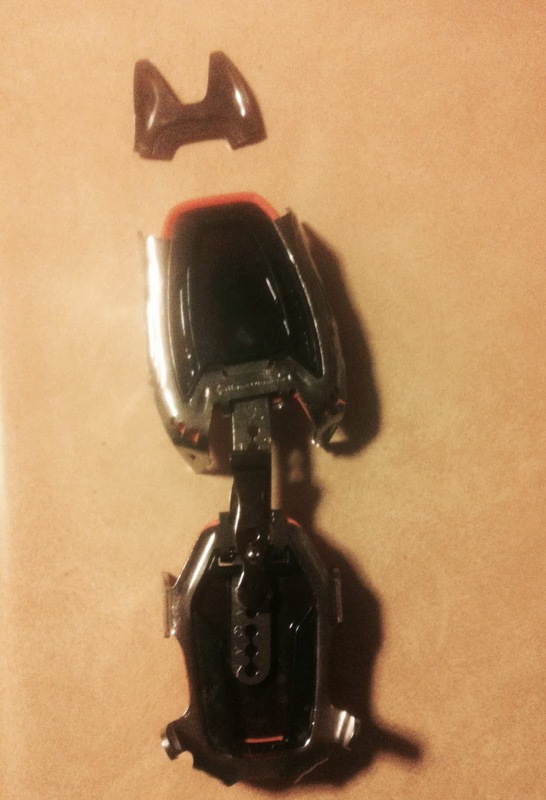 Googling "broken black diamond stainless crampons" yields a pretty large amount of information about broken crampons. It's worth a look if you have the time. Climb safe out there, and remember, gear doesn't last forever. Check your kit routinely. you'd expect to break gear.